Now I have invested a lot of time into my application, ready to be flashed on the devices and shipped. 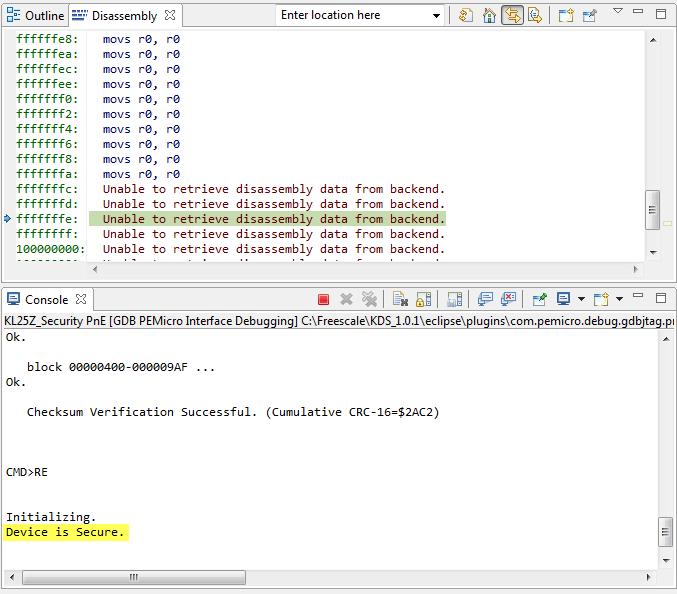 But wait: I don’t want that someone can read out the code from my device and have it reverse engineered. For this, I can ‘secure’ the device. 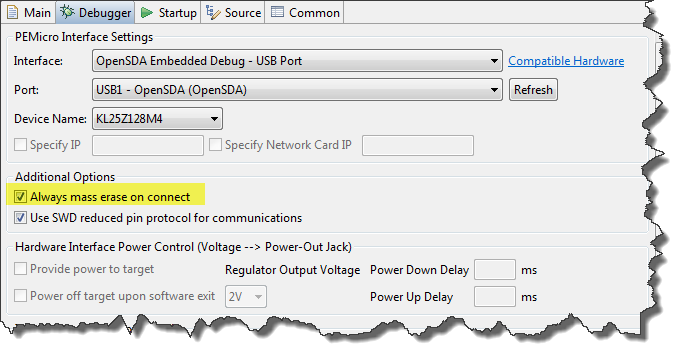 Disabling the debug interface: this is a rather weak method, as there might be still a small time slot after reset of the device until the device has disabled the debug interface. And if the debugger is fast enough, it might stop the target before it disables the debug interface. But this method in combination with other methods is still very valuable. 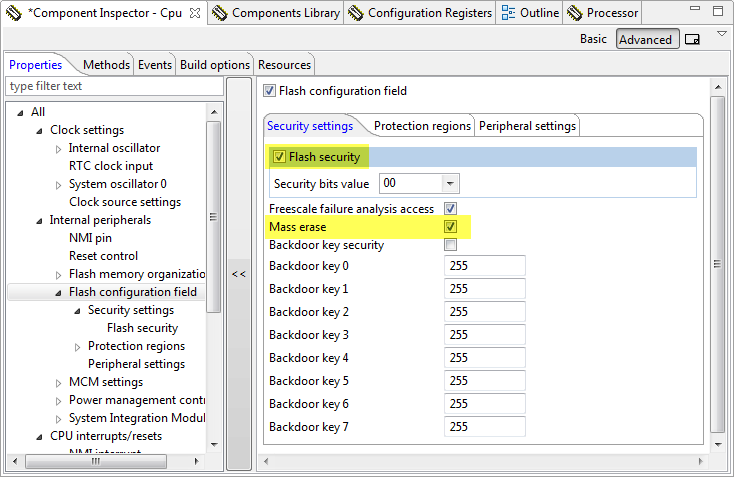 Enabling Flash Security: this is typically a setting which prevents the debug block on the chip to access the flash memory. You only can regain access to the device if a complete erase of the flash memory is done first. This still protects the code on the target (it gets erased), and allows to regain access to the device during the development process. Disabling FLASH Mass Erase. Only having the Flash Security set still would allow a person to gain access to the device and program it with a different (malicious) firmware. To prevent this, the mass erase can be disabled. 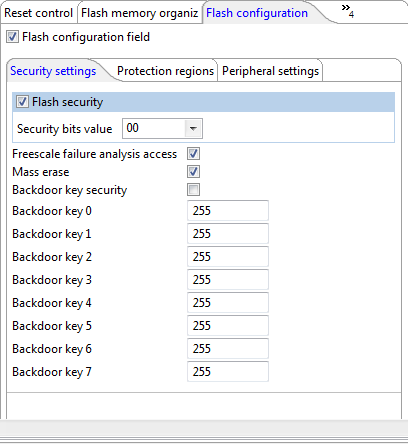 So disabling flash mass erasing in combination with the security setting is a one way thing: once set, there is no way back to regain access to the device, except some backdoor has been implemented. Accidentally setting the wrong bits can be very bad, as outlined in “How (not) to Secure my Microcontroller“. Every microcontroller has some specific bits and settings which need to be set, and different ways how to implement a back door to regain access. Typically it is best if the backdoor is implemented through another hidden channel, e.g. with an encrypted password sent over USB or RS-232. I only get access to the device again with erasing the device with a new binary, and because Mass Erase is *not* disabled. :idea: That dialog might be hidden behind Eclipse, so make sure you move that dialog to the foreground. But just to be clear: with this I need to make sure that I do not accidentally brick my board!